Surface finishing: - antique, polished, honed, natural, sand blasted, machine cut, etc. Our rich industry experience and team of experts enabled us to secure our position of as a foremost processor, exporter and supplier of the utmost quality Pink Limestone. Our offered assortment is noted and highly appreciated for its mesmerizing looks and extreme quality. The assortment is available at pretty competently prices. Keeping all the quality parameters of company into consideration, we are providing a large range of Pink Limestone. This Pink Limestone is available with us in various sizes and easy to install. Used for flooring and many more purposes, our product enhances the look of the place. Our clients can avail from us a range of Lime Pink Stone, which is highly durable and weather resistant. Owing to their premium quality and high endurance, our stone slabs are widely used for the beautification of interiors and exteriors of houses. These stones are processed to enhance the beautiful textures. We do only export. Available in various sizes and thickness, our range of Lime Pink Limestone is in high demand by our clients across the globe. Our range can easily be used for both interiors as well as exteriors. We also meet customized requirement as per clients need. Lime Pink Limestone, a subtle pink stone and conspicuous striation can transform any surroundings in no time. The light pink shade creates an elegant and imperial ambience that can leave you in pure . With natural cleft finish and subtle & its soothing shades, Lime Pink limestone gives strength as well as mesmerizing appeal to all the interiors and exteriors. Matching up with the requirements of our clients, we are involved in offering Lime Pink Limestone Slab. 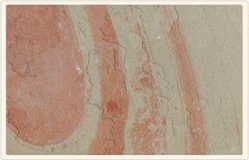 Being one of the largest companies, we are engaged in offering a wide range of Pink Limestone Slab to meet the demands of our customers. Unmatched quality and durability are considered as some of the salient specifications of Pink Limestone Slab. 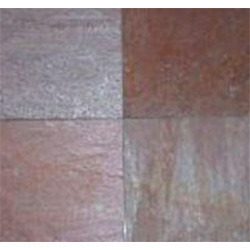 Further, we are offer Pink Limestone Slab at industry-leading rates.